Design Data, an industry partner of Autodesk as well as leading solution provider in top-notch BIM software for steel industry’s engineering, detailing and fabrication sectors, just introduced a new add-in alias SDS/2 Connect 2015 that is well versed with Autodesk® Revit® Structure 2015 software. This newest Revit add-in design connections inside the Revit Surrounding automatically. By amalgamating Revit Structure with SDS/2 Connect, the structural engineers as well as fabricators will be able to design, accomplish code check analysis, and expand steelwork designs to fabrication inside a BIM workflow. Besides, this alliance will help engineers to obtain superior control over driving their BIM model downstream. SDS/2 will make the process simpler to bring design model information from engineer to detailer. SDS/2 Connect enhances the interconnection amid design and fabrication and easily conveys constructible "as built" connections inside Revit Structure and at the same time curtail design time and lessen project timelines and costs. 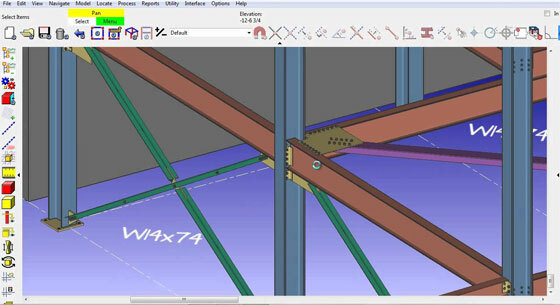 The users of Revit Structure can set up SDS/2 Connect and automatically design steelwork connections along with print out all equivalent design calculations with a single click. The users can buy SDS/2 Connect from sds2connect.com.